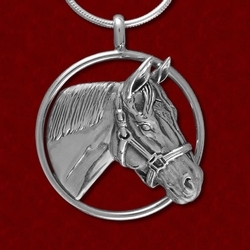 Modeled after an incredible race horse and an incredible mother! 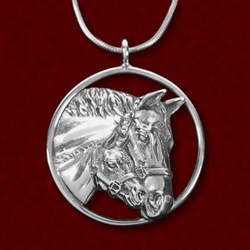 This special design measures 1 1/16″ and comes on a 16″, 18″, or 20″ snake chain with lobster clasp. 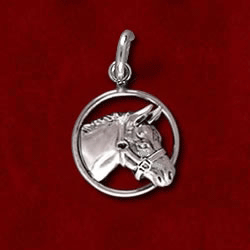 A treasure for the racing fan!